Over the past 20 years, there has been a distinct shift in food composition and food labelling laws around the world. Historically, food laws were necessary to prevent people eating unsafe food. Later, food laws were aiming to prevent improper fortification or dilution or substitution of food products. There have been two counter-movements in food product development and regulation over the past two decades. The first is driven by international trade. Codex Alimentarius, was initially created by the World Health Organisation (WHO) with a view to improving food safety. It now is viewed by the separate World Trade Organisation (WTO) as a benchmark for a lowest common denominator in global food law standardization. The opposing force comes from environmental health and welfare officials of governments and NGOs in Western economies to enhance public nutrition and health and environmental sustainability. These nutrition believers advocate greater regulation of food product development and new laws to regulate what people ought to eat. Nutrition regulatory advocates are opposed by the free trade believers who advocate for personal choice and self-regulation. The protection of corporate reputation or a substantial liability damages claim is arguably sufficient incentive for food safety compliance. Global food insecurity or the hundreds of millions throughout the world who are presently undernourished have a low priority in international Food forums. Even the nutrition moralists have set their focus on the lack of healthiness of a few million obese and overweight people in Western countries. Some food laws now incorporate algorithms to determine the suitability and eligibility of a food to carry marketing claims, such as a particular health claim. The opportunities that are now surfacing in food product development also come from this new focus on health and nutrition outcomes in food composition. Yet, numerous assumptions that have been made until recently in the design of functional foods for healthy eating, are now being challenged by new science. At the same time, new marketing opportunities for niche products are emerging because of other discoveries in new scientific fields. Food and nutritional science are dynamic. The results of recent scientific discoveries will change consumer attitudes and food marketing perceptions. New scientific consensuses are emerging in different areas. 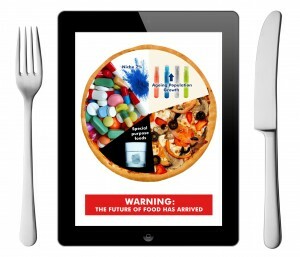 It is essential that people across the food industry familiarise themselves with what is happening behind the scenes. This information is essential for product developers, food technologists, food marketers and developers in all areas of food products and other consumable substances, such as dietary supplements and complementary medicines. For more information, FoodLegal is running a half-day morning symposium (http://tinyurl.com/zlyoqpq). This will address these latest developments, such as designing special purpose foods (including foods for special medical purposes, and food supplements), the latest news in nutritional epigenetics, and new opportunities in the marketplace. The challenges facing existing food regulatory orthodoxies need to be understood.